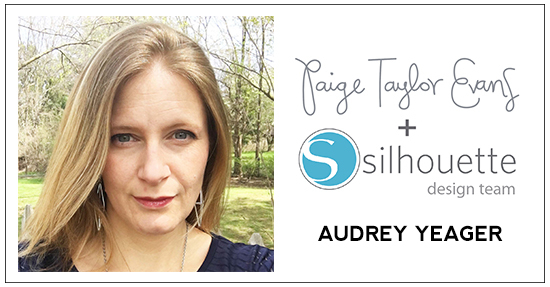 Audrey Yeager is on the blog today with a new design team layout featuring a single color and single letter! Hi everyone! Today I used Paige's Label Maker Font in a different way! I just focused on using the letter "Z" for a page of my son who decided to camp out outside my bedroom in anticipation of an exciting day the next morning! On my background, I started with a light wash of some teal, blue, and seafoam mists. 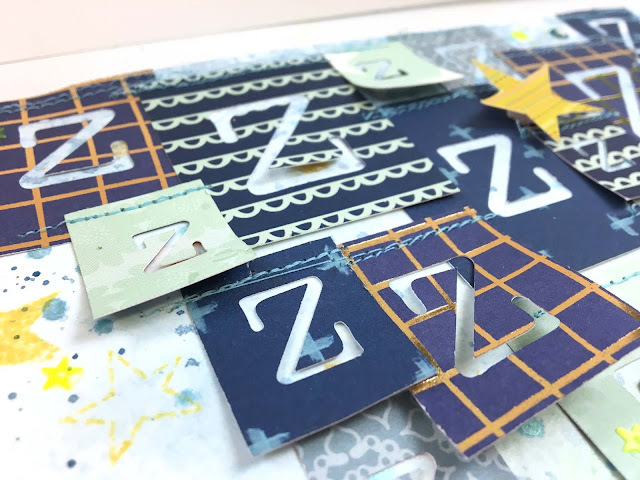 Then I typed the letter "Z" in many different sizes in this font and cut the rectangles from lots of different shades of blue patterned papers. 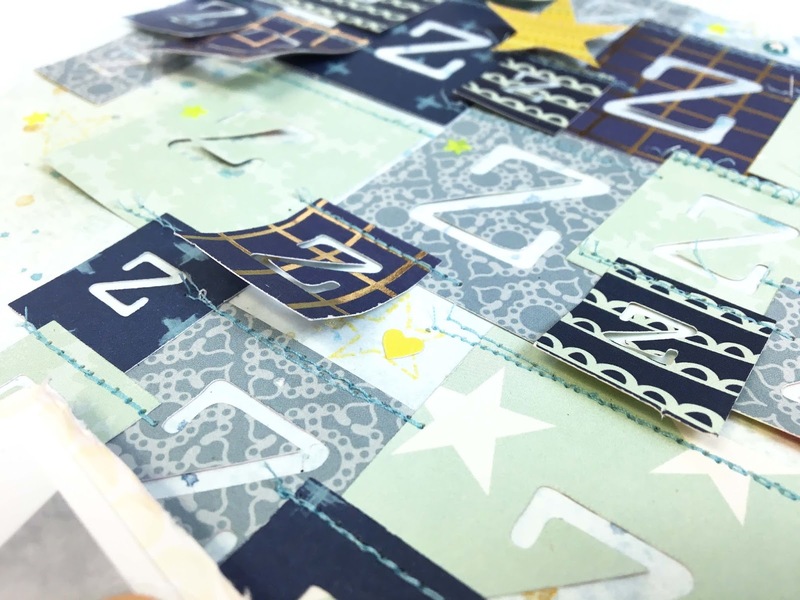 I arranged the papers how I wanted them, glued them down, and stitched over the top edges of each with blue thread. I stamped little stars from the Turn the Page Layerable Stamp Set with yellow ink and backed my photo with yellow too. I added a few simple label stickers, some rub-ons, and a few tiny stickers here and there. 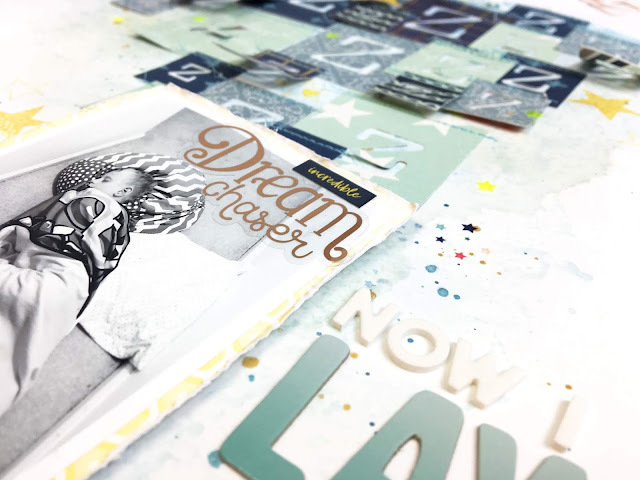 I used the Pick-Me-Up Mini Thickers (plus Thickers from my stash) for the title and printed my journaling on vellum. Love love love this! 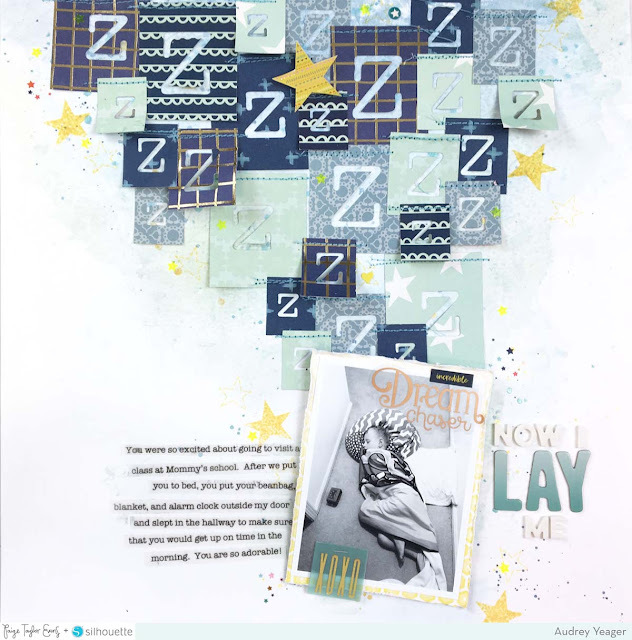 LOVING all the "z's"!!!!!!!!!!! !